Bed bugs have infested my home - help! Nothing reinforces the feeling of rest than being able to settle into a bed. Often you just wait for a long day to end so that you can snuggle into your bed. But wait, that amazing feeling can end abruptly with the bite of a bed bug. It is that little insect that can completely kill the comfort a bed or cushy sofa offers you. 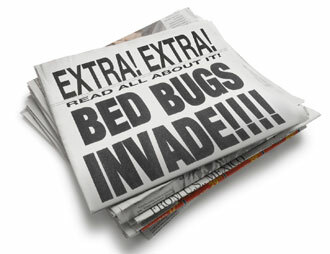 Bed Bugs (also called Bedbugs) have increased by 5000% in number since the year 1999! Bed Bugs have widened their radius and are found in shops, hospitals, offices, cinemas, public transports, etc. Bed bugs transmit blood transmitted pathogens. You run the risk of contacting blood diseases (if any) of their previous prey! The victim may go into anaphylactic shock which can be life-threatening! Their presence & attack can cause insomnia, anxiety, loss of appetite, irritability, inability to focus, resulting in a weak immune system. Whether your home is full of grown-ups alone or consists of family members like aged people, children & pregnant women, you sure wouldn't want them exposed to these problems would you? These tiny creatures are difficult to spot because of their size. To add to it, their ability to hide in crevices, cracks, and mattress seams makes treatment all the more difficult. Taking the necessary precautions could help prevent the problem from going out of hand. What's more it could also save you from contacting any diseases or getting painful bites. In case you do develop an infestation, it would be best to get a professional to look into the matter. Professionals are generally trained to inspect and detect the presence of bed bugs and hence will be able to offer the best possible solutions. Spot the Bed Bug! - Don't be fooled by their name, you're better off keeping those bugs out of your bed and upholstery than in it. To ensure that happens, you obviously need to know what these guys look like. Flat, reddish-brown, and oval in shape- be on the lookout for creepy-crawlies that match this description. They usually are up to 4-5 mm and just might look like apple seeds walking around. They tend to emerge only once they realize their victim is asleep and least likely to attack them. Once these guys have enjoyed a sumptuous meal of your blood, they tend to swell up in size. They also look a little more reddish all thanks to your red blood that they would have just fed on. You sure don't want to be feeding these blood-suckers so keep a wary eye on them if you do spot them. They can survive up to a year if the climate they are in, is cool. Getting on the Bed Bug trail - Bed bugs tend to dwell in mattress seams or in the corners of the bed. They can also be found in hotel rooms, where they can wander from room and room and prey on different hosts. Seeing the bed bug: Things cannot get more obvious than being fortunate enough to actually see the bed bug. Case skins: Bed Bugs tend to shed their skin as they grow out of their mold. So if you happen to see the case skins, you might as well call our Protech Professional for a thorough inspection. Black stains and small dark spots - If bed bugs are present and getting their food requirement fulfilled you can sure they will be pooping around too. The black stains and small dark spots are signs of Bed Bug feces. Blood spots on the mattress or sheet are evidence of a bed bugs meal. Unpleasant sickly scent on the mattress and upholstery. Bites:If you're getting bitten you can be sure that your bed has some of these blood suckers. Places to look for these signs would be in between timber floorboards, broken plaster, peeling wallpaper, bedframes, headboard crevices, mattresses seams, carpets and underlay, drawers, wardrobes, and bedside cabinets. Regular housekeeping practices like vacuum cleaning help keep bed bugs at bay. Wash linen and traveling clothes at the highest possible temperatures. Leave luggage in the garage or bathroom as bed bugs do not like tiles and concrete and are also easier to spot. In spite of being acquainted with the characteristics of a bed bug and the signs of an infestation, hunting them down is a task in itself. It is even harder to be able to get a treatment in place to eliminate them all by yourself. Instead of going through this hassle, why not contact our experts and get us on the scene. Every one of our Protech Pest Control Professionals is trained to identify bed bug symptoms and aim's to make your home bed bug free. When I say aim, I mean A.I.M that is Assess, Implement and Monitor. Assess: our exterminator assesses your home from top to bottom looking through all the cracks, crevices and difficult corners with the latest tools. Implement: He carries out the necessary procedure and puts treatments in all the places which not only destroys the existing bed bugs but also destroys the eggs to prevent future breeding. Monitor: Our Protech Professional isn't going to do the disappearing act right after the first visit. With regular visits, expert advice to prevent a return of the infestation and thorough monitoring, he and we work towards your home being 'bed bug free'. 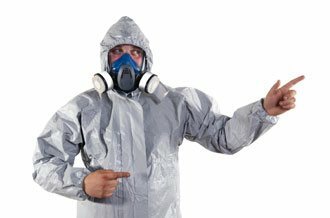 If you think things have gotten out of hand allow one of our Protech Pest Control Professionals to look into the matter and help you stay hassle-free. Give us a call on 1300 486 149. Do they offer same day bed bug control service (normally)? Do they have over 2 decades of experience in the Pest Control field? Are they fully accredited and licensed to carry out bed bug removal and control services from the Victorian government? Do they make use of the most up-to- date, non-destructive technology for bed bug control? What about a specialist division for inspections, reports and treatments - do they have one? Finally, do they guarantee their work of getting rid of bed bugs and ensuring they do not return? Can they ensure you, your loved ones and the environment's safety by offering natural and biodegradable treatments for getting rid of bed bugs in your home?